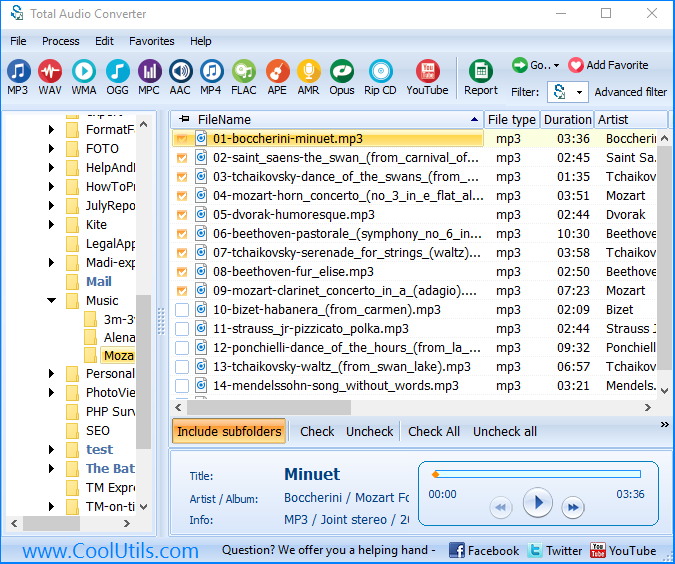 Why do we need to download Mp3 Converter by Coolutils? You are here: CoolUtils > Total Audio Converter > Why do we need to download Mp3 Converter by Coolutils? Windows XP/2003/Vista/7/8/10 Mp3 is a common format for storage of audio storage, which can be easily played on most digital audio players. This means that you won’t have any problems with playback of audio files saved in this format, as it is the case with many other formats. However, mp3 also has its downsides. One of them is the quality of audio. Since mp3 uses lossy data compression, files saved in this format are rarely characterized by high sound quality. 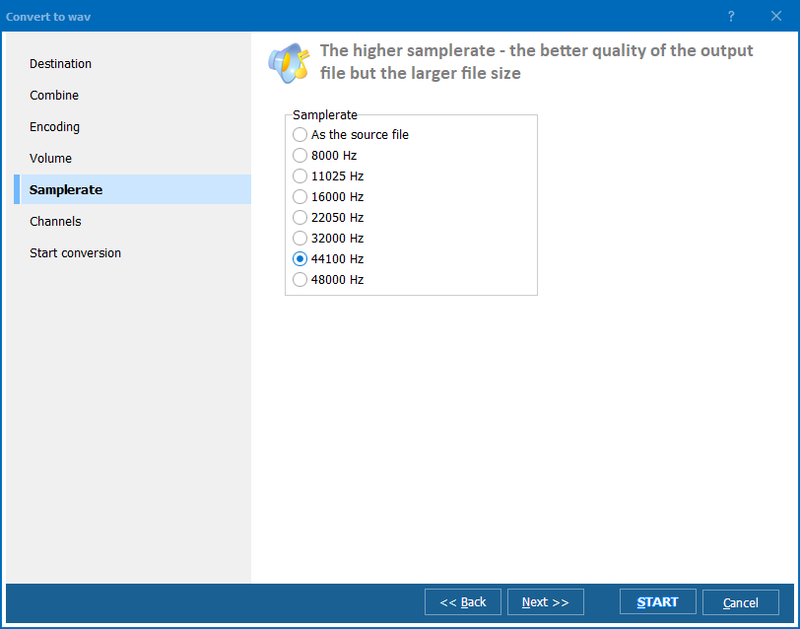 If you are not interested in trade-off between audio quality and amount of space used for storage, you might want to convertaudio files with higher bit rate. 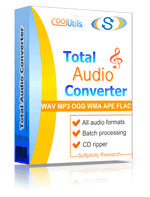 Here comes Total Audio Converter that converts to MP3 with any bit rate you need. The program is characterized by simple user interface and high functionality, which makes it handy for beginners and advanced computer users. 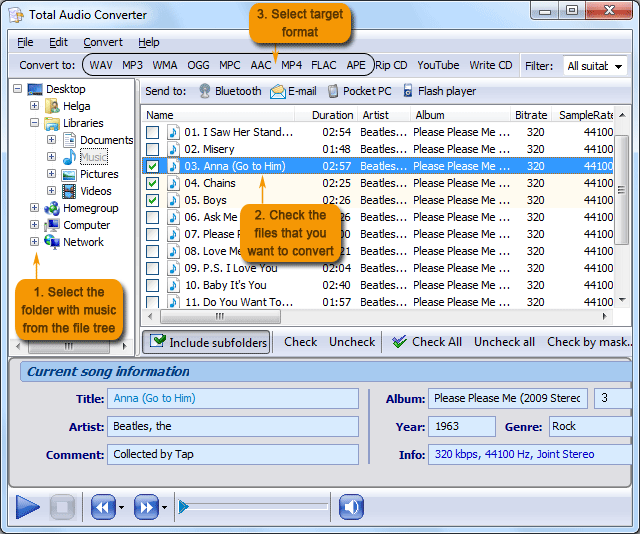 Total Audio Converter is split into 3 sections: the section on the left is the tree of folders, the section on the right is the display area and the section on top is the toolbar. Simply select the song(s) from the tree of folders, review them in the display area and click on the target format in the toolbar to launch conversion. This is a universal MP3 converter: it easily converts to and from MP3. 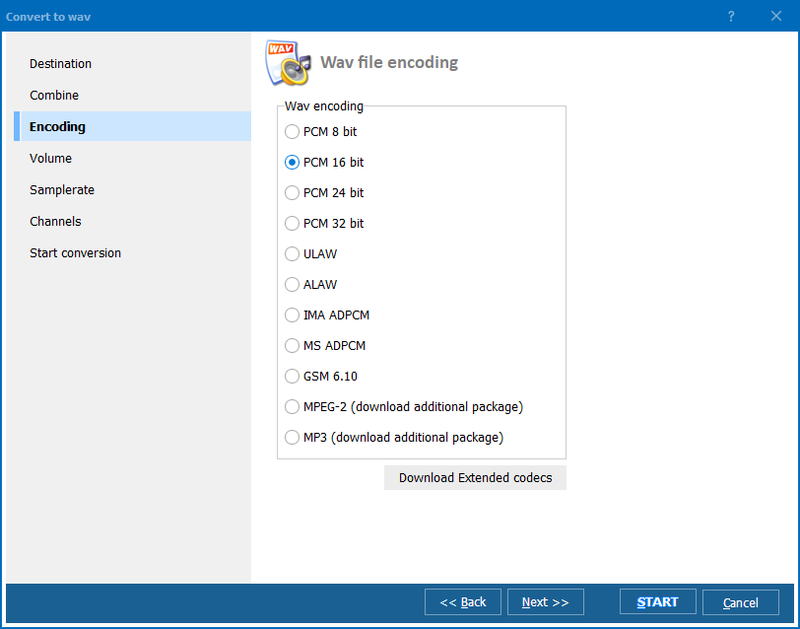 Other file formats include WVA, WMA, AAC, APE, FLAC, OGG, MPC. With Total Audio Converter, the whole process of audio conversion typically takes no longer than 60 seconds or several minutes if you choose to use batch conversion option. To try Total Audio Converter and use it for free for 30 days, simply download it now. Enjoy the powerful mp3 converter!